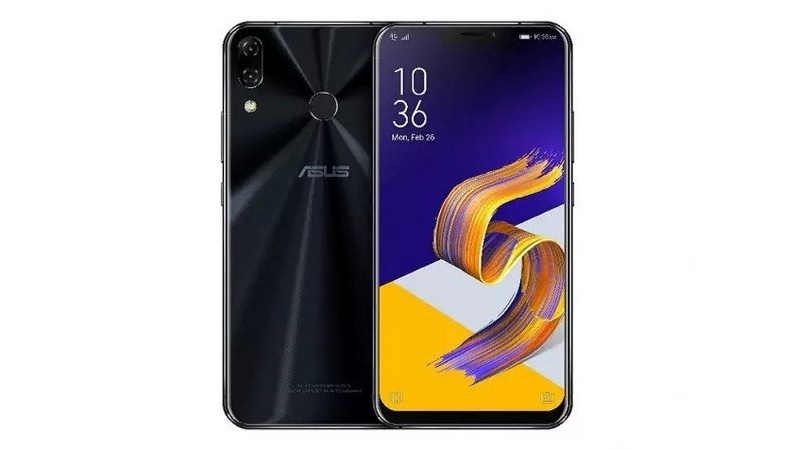 Taiwanese smartphone maker Asus has launched its latest flagship device, the Zenfone 5z at an event in India. The device was announced during MWC 2018 held in Barcelona and was later launched in Taiwan and Europe. The device has now finally made its way to India after several rumors and teasers from the company. The Asus Zenfone 5z is an affordable flagship from the company and has been priced competitively to take on the likes of OnePlus 6, Honor 10 and the upcoming Xiaomi Mi 8. The main highlights of the Zenfone 5z are its notch display, Snapdragon 845 SoC, dual camera setup and its price. The Zenfone 5z is the cheapest Snapdragon 845 powered smartphone in the country. Starting with the design, the Zenfone 5z features a 2.5D glass at the back and the front. The device has been launched in Midnight Blue and Meteor Silver color options. It has an aluminum body with Zircon sandblast finish. The notch on the device can be hidden while using apps, allowing you to use them in 18:9 aspect ratio. The Asus Zenfone 5z runs on Android 8.0 Oreo with ZenUI 5.0 skinned on top and the company has promised an upgrade to Android P. The device features a 6.2-inch full HD+ 2.5D curved Super IPS display with a resolution of 2246 x 1080 pixels and an aspect ratio of 19:9. The display is protected by Corning Gorilla Glass and features a notch at the top. In terms of performance, the Zenfone 5z is powered by an octa core Qualcomm Snadpragon 845 SoC coupled with Adreno 630 GPU. In terms of memory, the device has been launched in three variants – 6GB RAM + 64GB internal storage, 8GB RAM + 128GB internal storage and 8GB RAM + 256GB internals storage. Coming to the camera department, the Asus Zenfone 5z features a dual camera setup at the back consisting of a 12MP primary camera with Sony IMX363 sensor, f/1.8 aperture, 1.4μm pixel size, 4-axis OIS/EIS, dual pixel phase detection autofocus, and a secondary 8MP camera with OV8856 sensor, f/2.0 aperture and a 120-degree wide-angle lens. The Asus Zenfone 5z is powered by a 3,300mAh battery and supports ASUS BoostMaster Fast Charging and AI charging. Connectivity options on the device include 4G VoLTE, Wi-Fi 802.11 ac, Bluetooth 5.0, 3.5mm audio jack, FM Radio, GPS and a USB Type – C port. Other features on the device include a rear-mounted fingerprint sensor, dual speakers featuring NXP 9874 Smart AMP, DTS Headphone: X for 7.1 channel surround sound and three microphones for noise cancellation. The Asus Zenfone 5z has been priced at Rs. 29,999 for the 6GB RAM + 64GB storage variant, Rs. 32,999 for the 8GB RAM + 128GB storage variant and the premium 8GB RAM + 256GB variant is priced at Rs. 36,999. The device will be available in Meteor Silver and Midnight Blue color options exclusively from Flipkart starting from July 9.